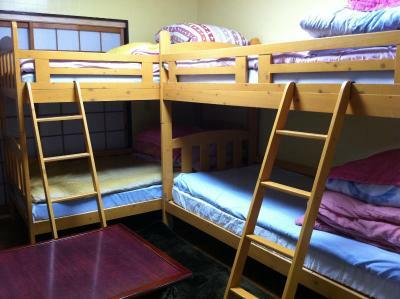 Lock in a great price for Oyama Guesthouse Kyoto – rated 8.2 by recent guests! I like the Korean-Japanese owner very much. She is personable, very helpful and caring. It is worth it go get to know her. I would go back just because of her. The location was OK, had to change trains to get into town, but OK. The staff was in general friendly and gave us an introduction of the facilities. The aircondition was good and the showers worked well. Very accommodating staff. Nice facilities. Comfortable. Very friendly host, room was clean and cosy. Great location. Owners were very helpful and welcoming. They did all they could for us. Location was great, next to a train station. 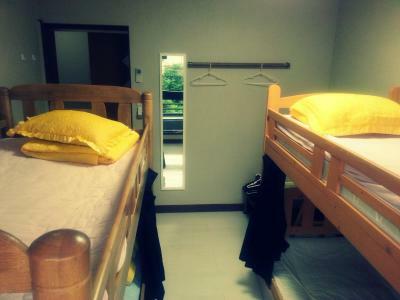 A nice place to stay before exploring the nearby Arashiyama area. Staff were super friendly and spoke English. 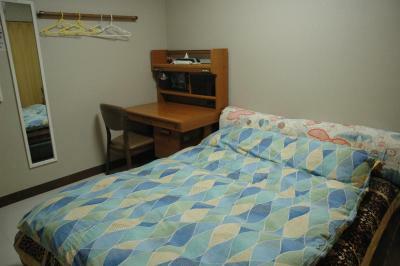 Bedding and showers were clean and has all the facilities you need. We really like everything about this hotel. The staff and owner are very kind and friendly. The place is so comfortable. Everything we need was provided. I highly recommend this!!!! Owner met us and was friendly. Her son was around if we ever needed anything- he was very polite and willing to help. 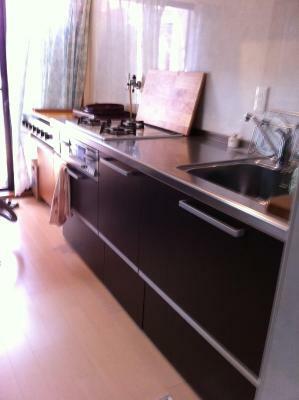 Good location near to Hankyu Kami Katsura station, from which you can easily access any of Kyoto. Nice roof area for relaxing. Free tea and coffee. 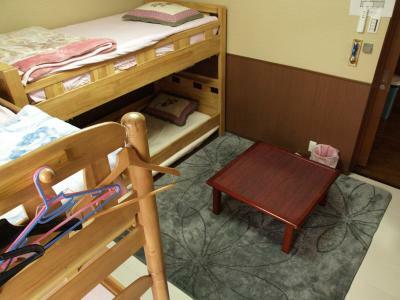 Oyama Guesthouse Kyoto This rating is a reflection of how the property compares to the industry standard when it comes to price, facilities and services available. It's based on a self-evaluation by the property. Use this rating to help choose your stay! 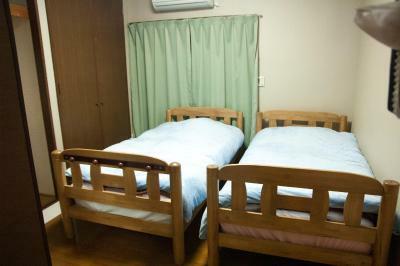 Offering a free-use kitchen, a coin launderette and free WiFi throughout, the entirely nonsmoking Oyama Guest house Kyoto has private and dormitory-style rooms. 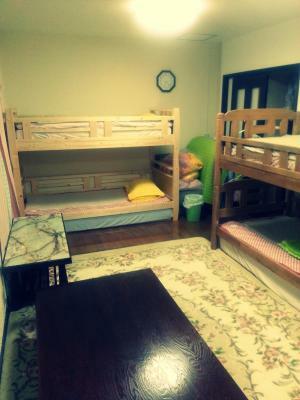 It is just a 1-minute walk from Kamikatsura Train Station on the Hankyu Line. 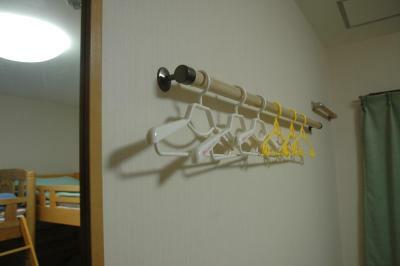 All guest rooms are nonsmoking and come with heating and air conditioning. 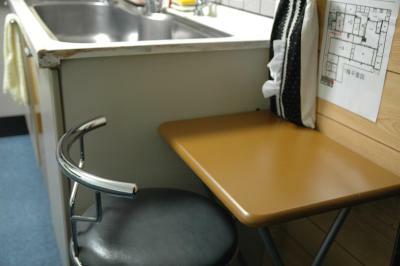 Some rooms have a desk. Showers and toilets are shared with other guests. 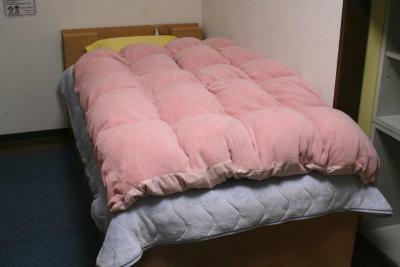 Towels are provided on site. Tsukiyomi Temple is a 5-minute taxi ride from the guest house, and Arashiyama Onsen hot spring is a 10-minute drive away. Dinner is available for an extra fee and must be booked in advance. 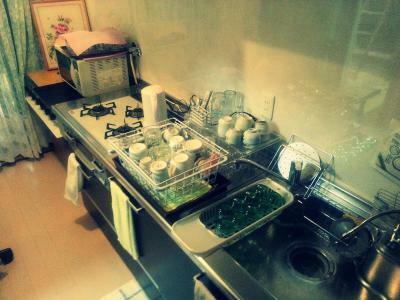 The owner sometimes cooks Korean food for guests. Nishikyo Ward is a great choice for travelers interested in nature, cleanliness and scenery. 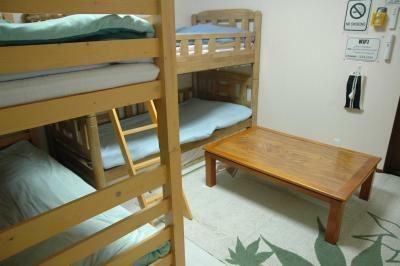 When would you like to stay at Oyama Guesthouse Kyoto? 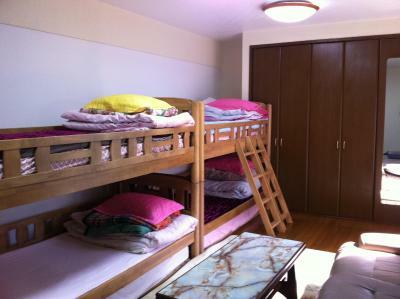 This simply decorated private room features heating/cooling facilities and a bunk bed. Toilets and bathrooms are shared with other guests. All rooms are non-smoking. 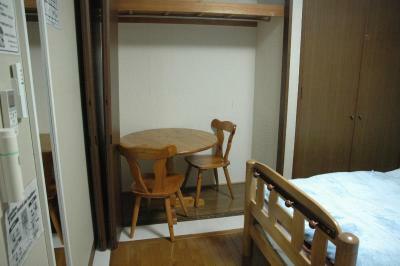 Private parking is available on site (reservation is needed) and costs JPY 1000 per day. 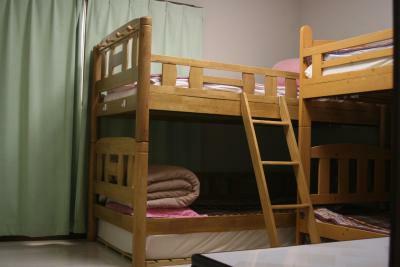 This simply decorated private room has heating/cooling facilities, 2 bunk bed and 2 single beds. Toilets and bathrooms are shared with other guests. All rooms are non-smoking. 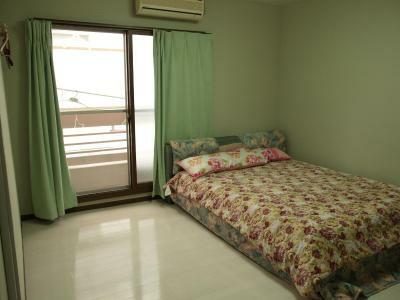 This simply decorated private room has heating/cooling facilities. Toilets and bathrooms are shared with other guests. All rooms are non-smoking. 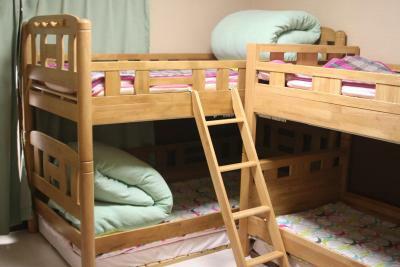 This simply decorated private room has heating/cooling facilities and 2 bunk bed. Toilets and bathrooms are shared with other guests. All rooms are non-smoking. 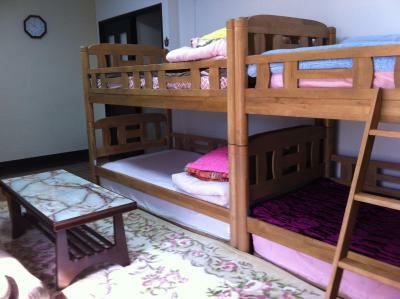 This simply decorated private room has heating/cooling facilities and a bunk bed and a single bed. Toilets and bathrooms are shared with other guests. All rooms are non-smoking. 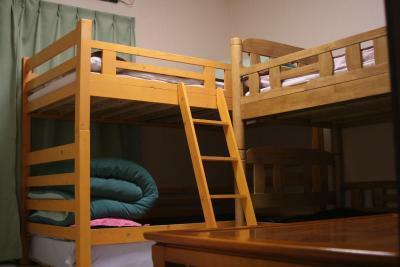 This simply decorated private room has heating/cooling facilities and 1 bunk bed. 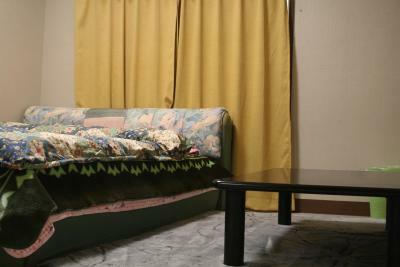 It includes a kitchenette and sitting area with a sofa. 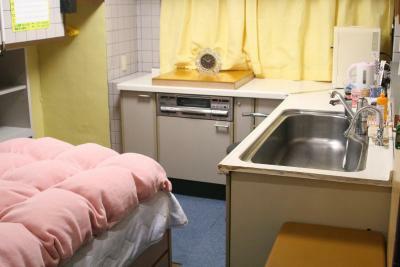 Toilets and bathrooms are shared with other guests. All rooms are non-smoking. 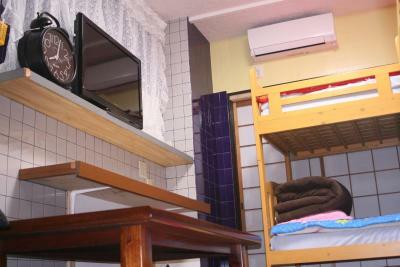 Simply decorated, compact private room with heating/cooling facilities and 1 bed. 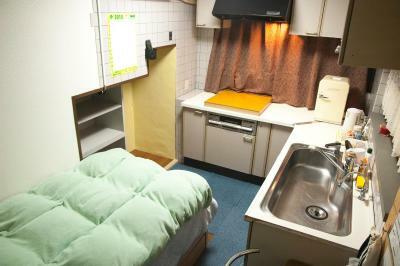 Comes with a kitchenette and a fan. Toilets and bathrooms are shared with other guests. All rooms are nonsmoking and have no windows. 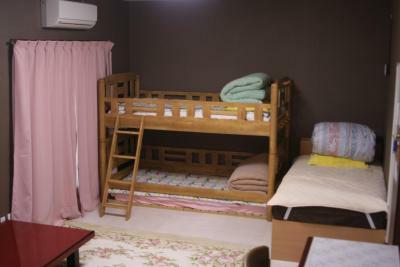 Simply decorated, this compact private room has heating/cooling facilities and 2 bunk bed. 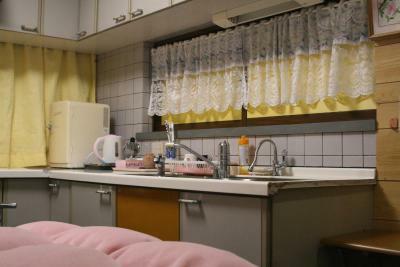 Toilets and bathrooms are shared with other guests. All rooms are non-smoking. 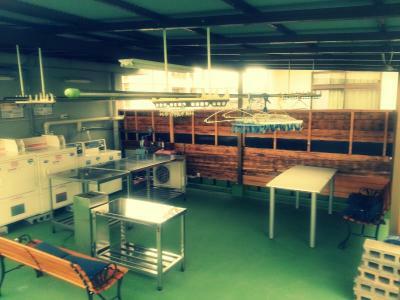 This smoke-free guesthouse features a rooftop terrace, laundry facilities, and tour/ticket assistance. WiFi in public areas is free. 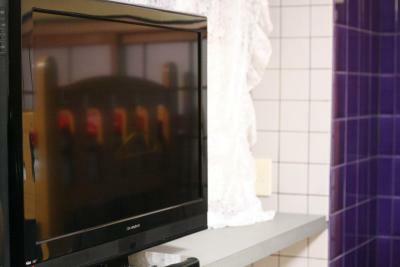 Other amenities include multilingual staff and a TV in the lobby. Area Info – This neighborhood is a great choice for travelers interested in nature, cleanliness and scenery – Check location Good location – show map Guests loved walking around the neighborhood! 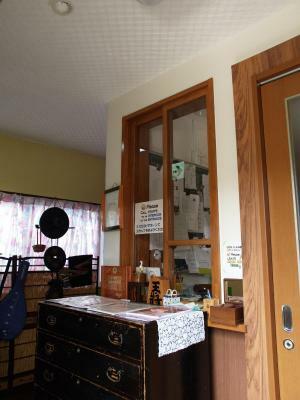 House Rules Oyama Guesthouse Kyoto takes special requests – add in the next step! 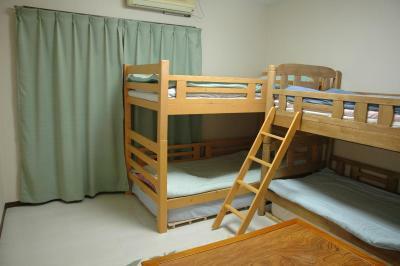 One child or adult is charged 100 % of the room stay per night and person when using existing beds. Oyama Guesthouse Kyoto accepts these cards and reserves the right to temporarily hold an amount prior to arrival. Please note, late check-in is not available at this property. Reservations for guests who do not check in by the last check-in time may be treated as a no show. Please contact the property directly for details. Please note, adult rates apply to children regardless of age. 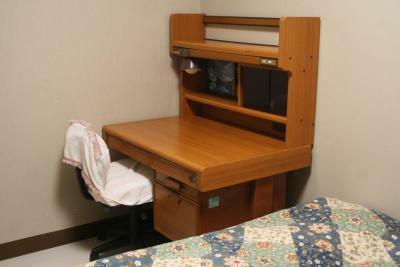 Please inform Oyama Guesthouse Kyoto of your expected arrival time in advance. You can use the Special Requests box when booking, or contact the property directly using the contact details in your confirmation. A damage deposit of JPY 10000 is required upon arrival – that's about 89.38USD. This deposit is fully refundable at check-out as long as there's been no damage to the property. Room is not as clean as it says. Waked up in night due to be bited by unknown insect. They charged us too much in accommodation tax. They changed us pr. DAY and not pr. Night even though i pointed this out to them (and it said so on the poster they themselves used as reference). Not the money but the principle. The bed was not comfortable and the pillows were the worst I have experienced in all my 30+ travels. 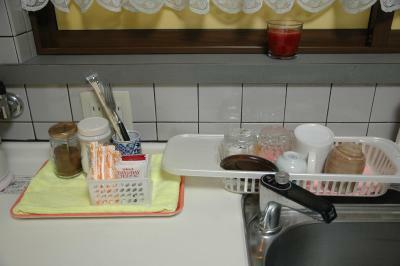 Only cold water in most of the sinks as well as the sink used for doing dishes. The balcony was not usable, completely filled up with different stuff. Three showers but connected, so only a group at a time. I didn't like my room on the ground floor. 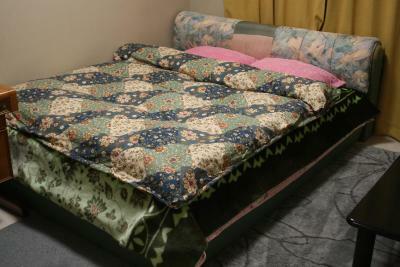 It was without natural light and fresh air with a strong sence of mold. Next time I will book the room on the higher floor. a small point - the doors on the rooms have small windows in that let in the light. So when someone gets up in the night the light pours into your room when the hall light is on. It would be better if these were covered.